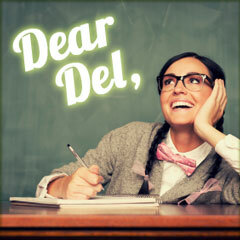 Dear Del: Help! I Don’t Have a Test Plan! Believe it or not, you have all the raw materials for a test plan; you just have to pull information together. Develop a list of common tasks you perform using the AMS. This should include daily, weekly, monthly, and yearly processes. After you create the list, develop a test plan for each area. Here is a format that may work for you. Second, develop a list or location to store test plans. This should include a form or location to document failed test cases or questions. It’s possible that just one step within a process may fail. When you document a failure, identify the specific step(s) that failed. Make sure you prove all steps of the process with your vendor and when the failure occurs. Screen shots are always helpful; a picture is worth a thousand words! Last, schedule testing with a buddy. It is a lot faster to work in pairs; one person can read the case and document results, while the other performs the actions. P.S. Use your updated test plan to create or update your SOP.